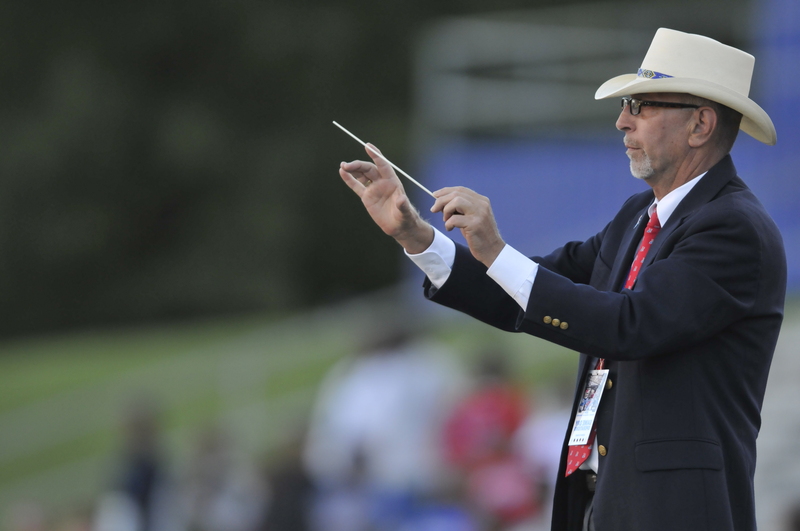 Home › Faculty Feature › Special news about Tech's Band of Pride! Special news about Tech's Band of Pride! It was a special day for me recently when Tech’s legendary Director of Bands, Jim Robken, came into the office and shared some great news with me. I had been privately having discussions with him for a few weeks, and he knew that I was concerned about the impacts on the future of Louisiana Tech when he made the decision to retire. Here is Jim’s story, in his own words: “This has been quite an unusual year for me. I have to admit that the past summer was a dark one. I had a lot of time to think about my future and, at that time, I wasn’t completely sure of how long it might be. 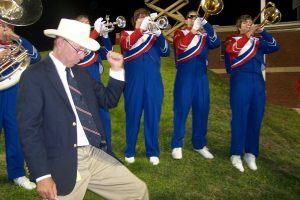 Many factors went into my decision to retire as Director of Bands for Louisiana Tech which, even with the challenges I was facing, was one of the most difficult decisions of my life. Recovery from my surgeries has been lengthy, but I am happy to say that, as I write this, I am feeling great. Still have a little recovery to go, but today I am cancer free. All the well wishes, the numerous notes of encouragement and congratulations, and the awesome messages of what I have meant to so many who took time to email or message me, have been humbling. I am so thankful for each and every one of those. In the past month or so and as my condition has continued to improve, I have been thinking about what Louisiana Tech means to me. And along with my recovery, my head began to clear from my health ordeals. Being with the fantastic members of the Band of Pride this year has given me pause. As I have begun to think about leaving them, and seeing their disappointment, I have really been struggling with my decision to retire and knew I needed to seek input and guidance from others. Planning for the future of the Band of Pride is something I have always thought about and I have begun thinking more about what I could do faced with this unprecedented crossroad. So, I decided to visit with President Guice to seek his counsel and thoughts on my decision to retire, and what my future could be with Louisiana Tech. The one thing I told him was undeniable and unconditional was that I loved Louisiana Tech and what it represents to so many. I also told him that I have thoroughly enjoyed my role in the various venues. He was so supportive of me and my value to the university, and our conversation soon turned to the possibility of me rescinding my decision to retire. At the end of our meeting and with his blessing and approval, that is what we decided to do. So, I am delighted to inform the Tech Family that I have rescinded the decision to retire and will be continuing on Director of Bands at Louisiana Tech University. I am very excited about our future, even in these difficult times, and I am looking forward to working with President Guice as he leads us through the challenges that lie ahead. 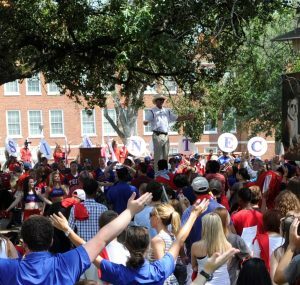 Regardless, the future of Louisiana Tech will continue to great and I am thankful that I will be a part of that. I hope my decision to “un-retire” will be understood and embraced as it was made from my passion for Louisiana Tech and the love I have for representing the spirit of this outstanding university. I look forward to continuing in my role and creating opportunities to celebrate Louisiana Tech for many years to come.” The Tech Family joins me in celebrating! Jim plays such an important role in representing the spirit of Louisiana Tech, and he has a special knack for energizing a crowd – at the right time and in the right way. Jim plays a particularly important role as one of our top recruiters, and we have seen him time and time again transform a reserved group at Howard Auditorium, the Quad, the Joe, or the TAC into a raucous crowd yelling Tech cheers and singing Tech fight songs. Jim, I am thrilled with your decision. Welcome back!